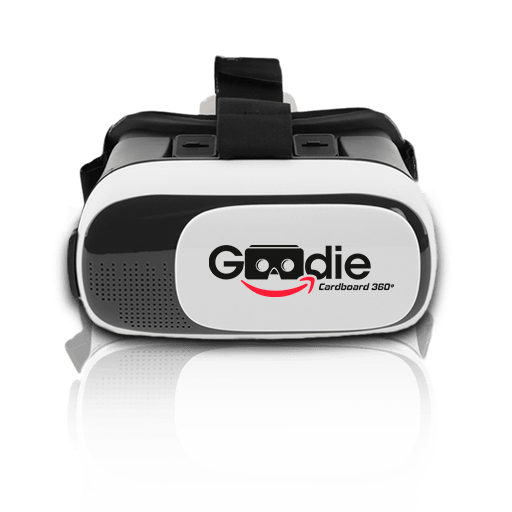 Use Virtual Reality Glasses to see any type of 360 content (360 photos, virtual tours, virtual reality games, 360 videos, 360 movies, 3D movies, IMAX cinema) IT IS VERY SIMPLE. 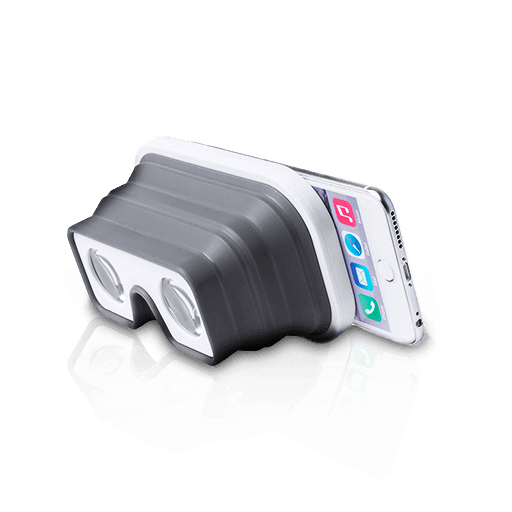 You just need to have a compatible Smartphone with Virtual Reality and Virtual Reality Glasses. First of all you must know if your mobile is compatible with Virtual Reality. 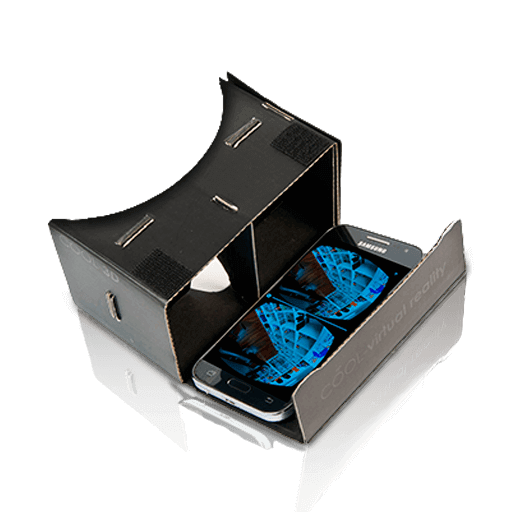 Do you know if your Smartphone supports Virtual Reality ?, in the following link. We explain how to quickly know if your mobile supports Virtual Reality. 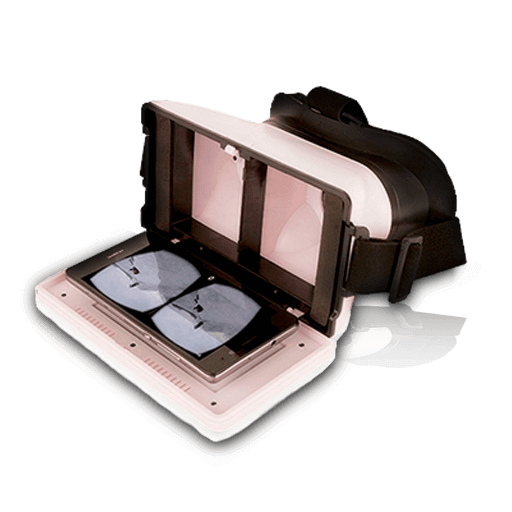 Secondly you must have Virtual Reality Glasses, in the market there are many models from the cheapest cardboard to more quality viewers, the Virtual Reality Glasses that we recommend for their value for money are the Enterprise. 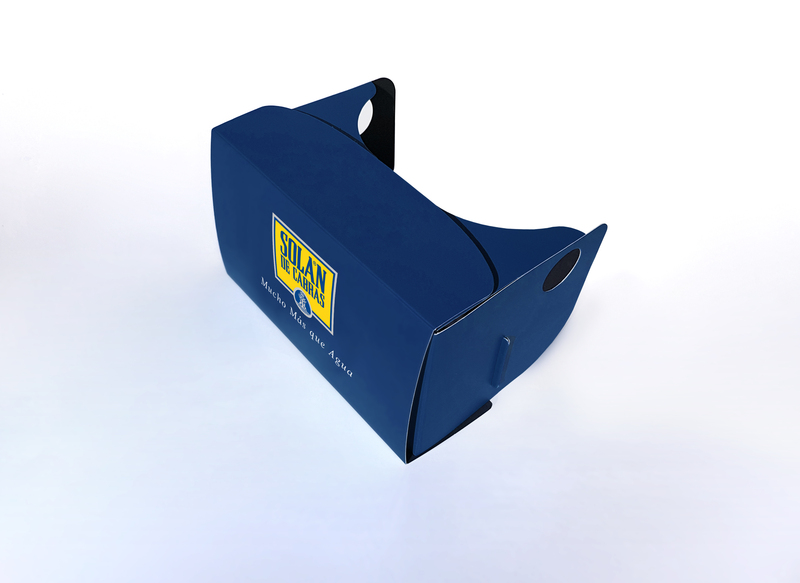 To learn more about virtual reality for companies visit the following link: www.cardboard360.es. 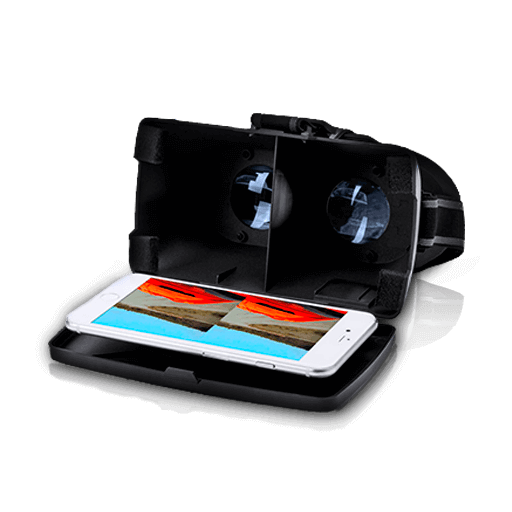 Although it seems obvious, it isn’t so simple, so we will explain how to put your Smartphone inside the Virtual Reality Glasses to fully enjoy a 360 experience. 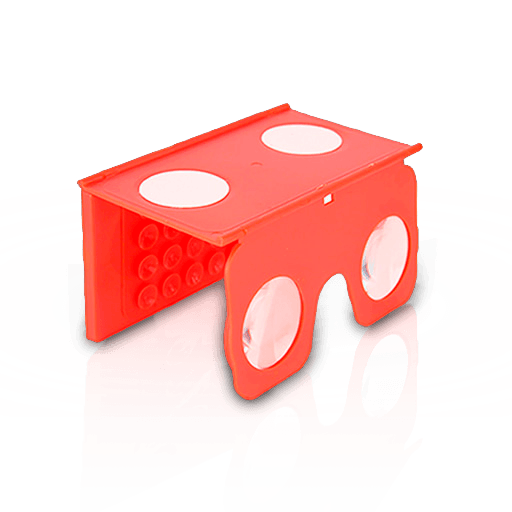 We will use our recommended model “Enterprise” as an example, although the following is applicable to most Virtual Reality Glasses. 1.- Take out the tray in which we you place the mobile. Pull off the tab strongly indicated in the image. 2.- Open the tab in the image so that the mobile can fit in. Be careful, the volume or ignition buttons should not be pressed, for this you can place the band of the buttons downwards, in which there are slits so that they are not pressed. If you have tried several possibilities and some button remains pressed, use some stops that come in the box. 3.- Make sure that the split screen is fully centered. 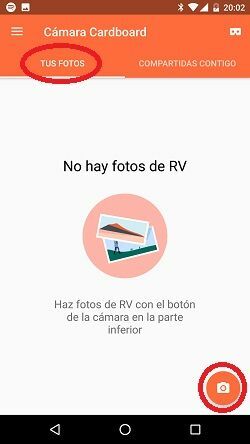 If you look at the image of the photo, it is not totally centered, it is necessary to move the mobile one millimeter to the right. 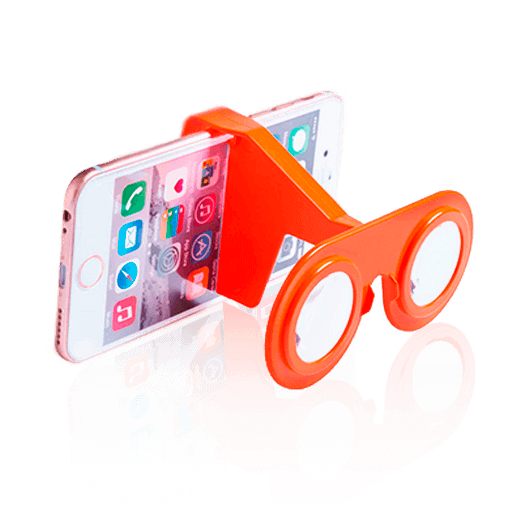 4.- Put the brightness of your screen to full and insert the tray inside the Glasses, without hitting hard so that the mobile does not move. Although the clamp does its job, a strong blow at the time of closing, can move the phone a few millimeters and worsen the content vision. 5.- Adjust the support straps to the size of your head. It has happened to all of us, not being able to wait any longer to put on our glasses, but spend a minute adjusting the straps, neither too tight nor too loose; remember that you will have to move your head to the sides and up and down. 6.- Adjust the focal distance, move the lenses horizontally and vertically until you find your optimal vision. 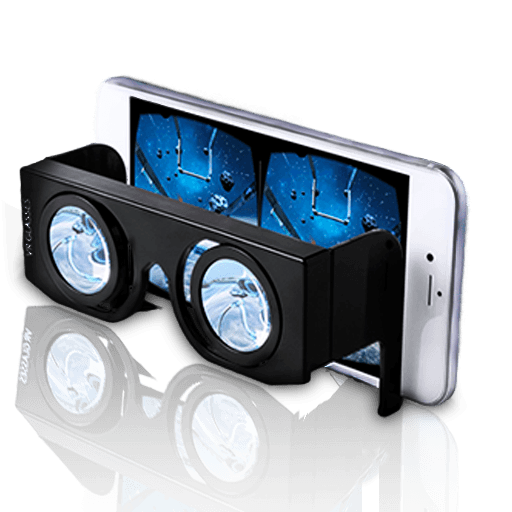 We all have a different focal distance and different visual acuity, so to enjoy Virtual Reality well, it is essential that the viewers have this option. – Contents of Virtual Reality: Standing (without obstacles at 3 meters) or chair / swivel chair. – Photos, cinema 3D / IMAX: Armchair or sofa. 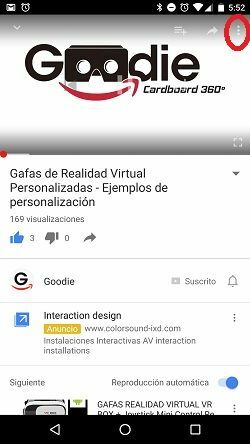 You should ALWAYS do it through the Youtube APP (entering Youtube from any browser will not work). 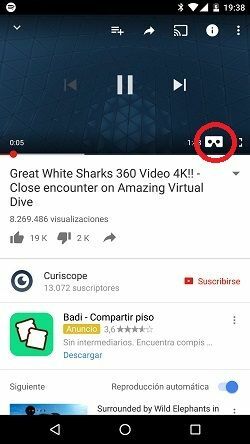 Once the Youtube APP is open, we can search for the 360 ​​video that we want to see, or search for “360”, the result is virtual reality videos, when viewing it you should see the “glasses” symbol, clicking on them will split the screen and will be ready to enter in your Virtual Reality Glasses. 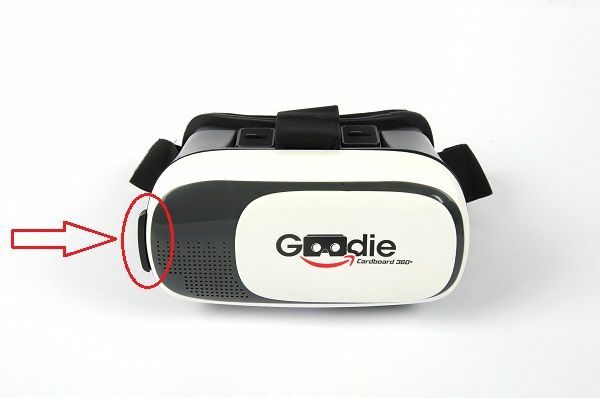 If the “glasses” does not appear, your mobile may not support Virtual Reality. Important!!! To fully enjoy the contents, I recommend increasing the brightness of your mobile screen to the maximum. We can also see videos that are not 360 in our Virtual Reality Glasses, getting the same effect of IMAX cinema, and we will get the sensation of seeing the cinema in 200 inches. 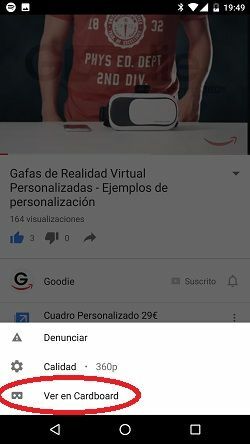 > select the video you want to see with your Virtual Reality Glasses > go to settings > Select “View on Cardboard”, and voila! 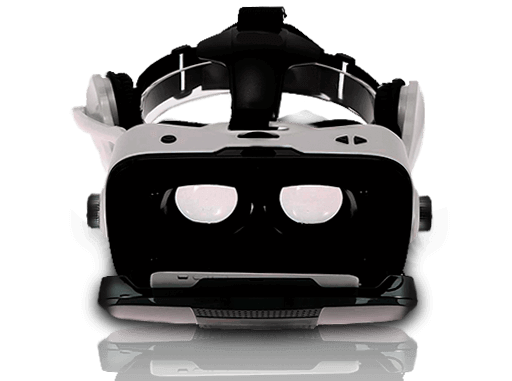 The screen will split and be ready to see with your VR Glasses. The Android and IOS APP stores have more and better games every day to enjoy with your Virtual Reality Glasses, to find them it just need to to search in the application store of your mobile “Virtual Reality Games” or “VR games” and we will have a world of possibilities to play in an immersive way. 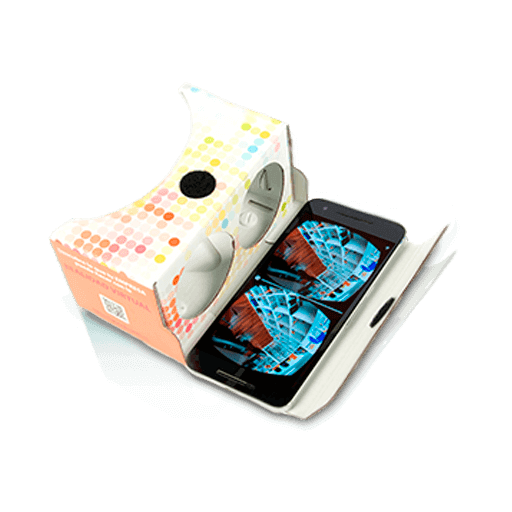 You can live experiences such as climbing a roller coaster, being in the House of Terror, killing zombies … A world of possibilities in which you can immerse yourself in the hand of your mobile and your Virtual Reality Glasses. 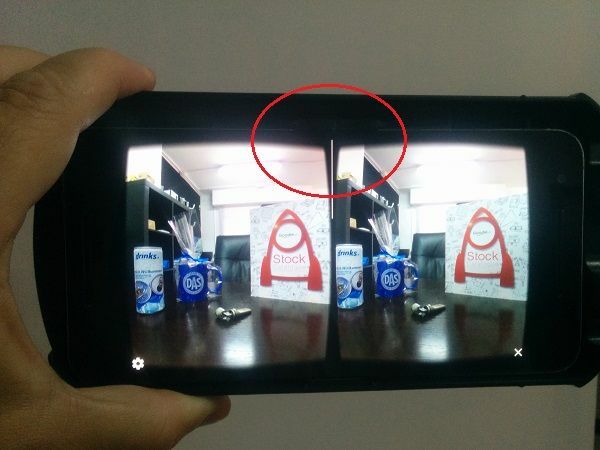 Although there are more APPs that allow you, we recommend the official Google APP “Camera Cardboard”. It’s simple, you just have to follow the instructions, it’s like doing an overview. The first photo is sure to get rid of the speed of movement, but in the following attempts, if you have a good pulse and a little imagination, you will achieve spectacular results. 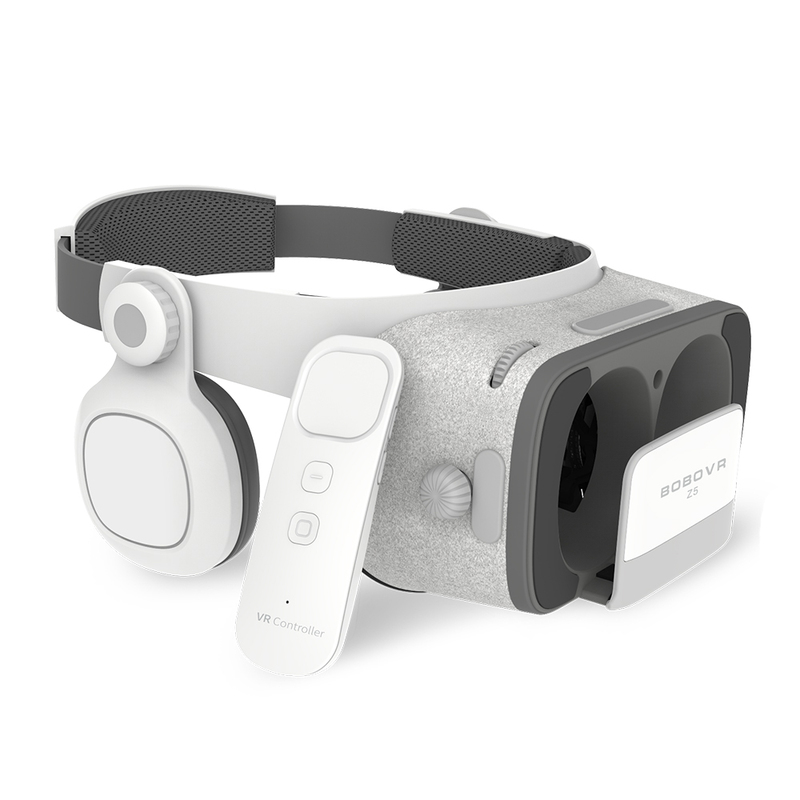 Recently the APP has introduced the ability to capture ambient sound, getting a totally immersive result, when you see it with your Virtual Reality Glasses, it will be like reliving that moment, like being there. Just missing the smell! If the previous uses seem surprising, then wait until you see what else there is! Seeing your own content (photos and videos from your mobile) with your Virtual Reality Glasses, will leave you open mouthed and you won’t be able to avoid calling people next to you to share the experience. 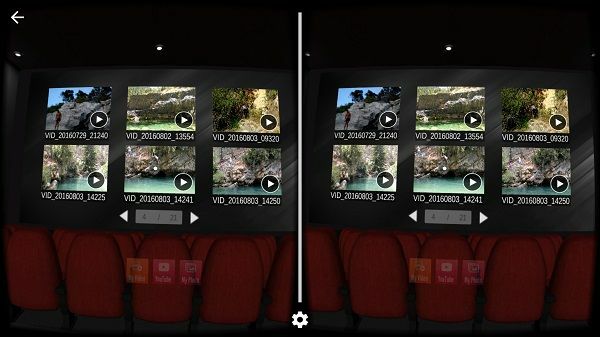 For this, you need to download “VR Video Player”, on your Smartphone, there are many in your APP store, which we use and recommend, after having tried a few, is “VU CINEMA”, a very powerful and intuitive viewer. It has a paid version, but the functions offered on the Free one are enough. You will see that the navigation will be done with the movement of your head and the selection of options by looking at the choice to execute. The user experience is very good, it will give you the feeling of being TOM CRUISE in MINORITY REPORT. What seemed like a very distant fiction in 2002, we are getting closer and closer! To enjoy any movie as if you were in an IMAX cinema or a 200-inch screen, you just need to download a “VR Video Player” on your Smartphone, which I have recommended in the previous point is enough “VU CINEMA” and especially to have on your Smartphone the MOVIE, that you want to watch. 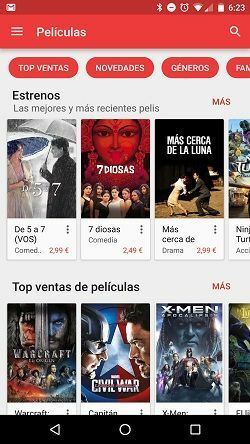 In your APP store you will find different possibilities for downloading movies. Once you have the movie, get some good headphones and above all I strongly recommend you put your phone in Airplane mode, put a NO DISTURB sign and get comfortable on your sofa, putting your feet up on the table is optional! Yes, we can also watch REAL 3D movies with these Virtual Reality Glasses !, although I notice that it is not as simple as what we have done so far. 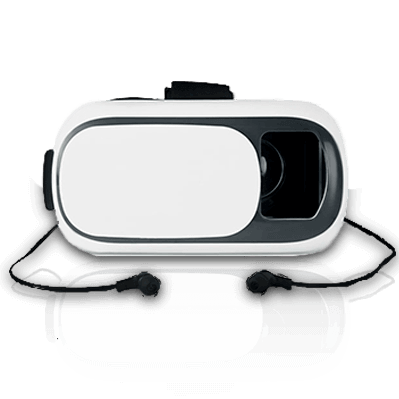 The “VU CINEMA” viewer can be useful, although there are some more specific ones such as “AAA VR Cinema Cardboard 3D SBS” and “iPlay SBS 3D VR Video Player”. The most complicated thing is to find 3D movies, you can search for “3D SBS Films”, it isn’t easy to find suppliers that have all these movies and when you find them they are around 8-15 GB. Once you have the movie and the Glasses, you just need popcorn. Then sit back and enjoy! The big producers produce trailers of their films and content related to them in 360. 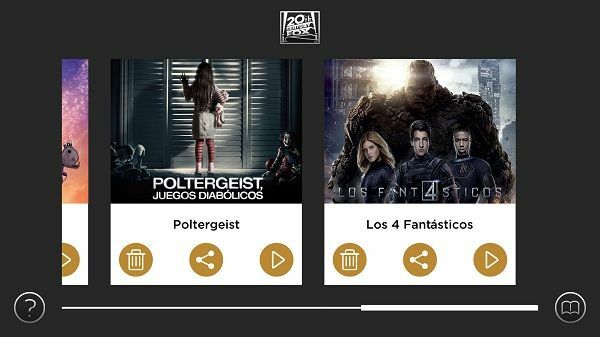 For example, you can download the APP of Fox, “FOX VIRTUAL” and see premiere promos in 360. Google Spotlight Stories, is a Youtube channel dedicated to specific projects in Virtual Reality, in which there are both animated short films, as well as films shot with 360 cameras. Do not miss the following animation short, simply spectacular! When you see the short, you will quickly discover the difference between conventional cinema and 360, in which the action can be anywhere and you have to follow it. 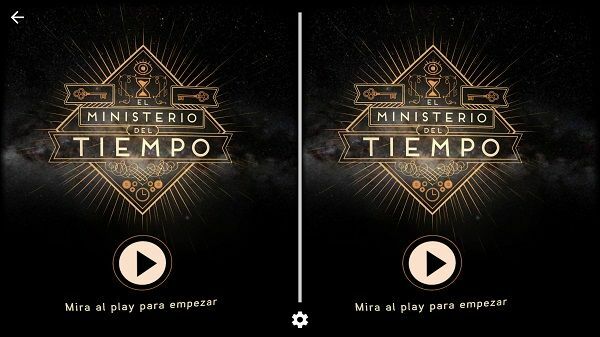 ‘The Ministry of Time’, a Spanish series, is the first episode of interactive Virtual Reality of a television series in the world, you can download the APP ” EL MINISTERIO DEL TIEMPO VR”, have a little bit of patience and a lot of WIFI, because between the APP and the content you will download there is about 400 MB, but when you are ready, you will feel like the protagonist of one of the episodes, in which you will have to pass an entrance exam to the Ministry of Time, can you overcome it? I did it, although I‘m not telling you the result I got …! Even if you don’t speak Spanish it’s still an amazing experience! You can do All this and much more with your Virtual Reality Glasses. 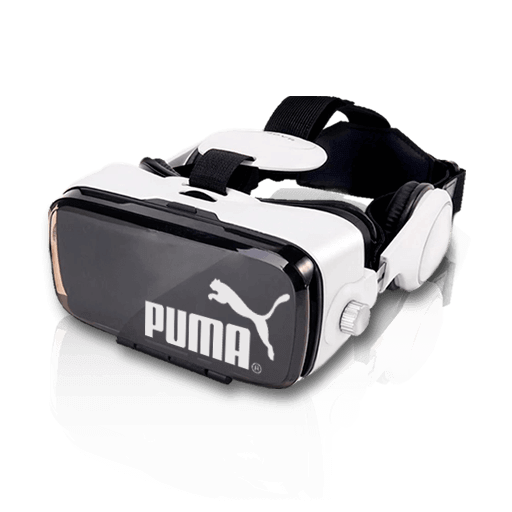 If you want more information, enter the personalised virtual reality glasses post that we have on our main website or visit the same google. Have you had other fun experiences with your Virtual Reality Glasses ?, share it with us.